Today marks a court-ordered deadline for EPA to promulgate a final coal combustion residual (CCR) rule pursuant to the Resource Conservation and Recovery Act. To be sure, the agency could ignore the deadline, as the courts have no means readily at hand to prod the agency into action today. That said, the agency is widely expected to promulgate the rule this afternoon. What follows is the shortest, most thorough primer of the rule on the web. CCRs are managed in either wet or dry disposal systems. In wet systems, materials are generally sluiced via pipe to a surface impoundment. 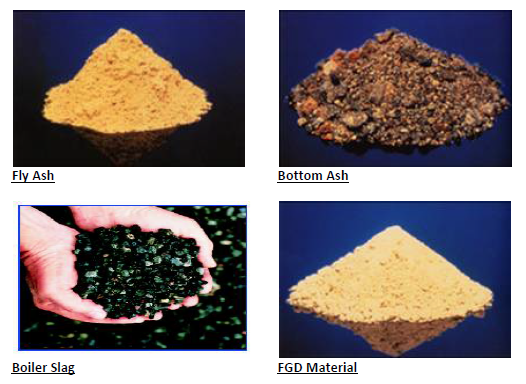 The material can be generated wet, such as flue gas desulfurization byproducts, or generated dry and water added to facilitate transport (i.e. sluiced) through pipes. In dry systems, CCRs are transported in its dry form to landfills for disposal. According to EPA, there are more than 300 landfills and 500 surface impoundments holding CCRs at more than 495 coal-fired power plants throughout the United States. Among these, the agency has identified 27 “proven damage cases,” which entail: “documented exceedences of…health-bases standards measured in ground water…that could cause human health concerns.” (75 FR 35131). As EPA acknowledges, all 27 of the “proven damage cases” are being remedied by state or federal governments. (see, e.g., 65 FR at 32216 and 75 FR at 35150 n.43). And according to an informal calculation by the Office of Management and Budget, even the most stringent possible regulatory regime for controlling CCRs is projected to prevent .5 deaths, at a cost of more than $50 billion per saved life. Surely, there are more cost effective ways to protect the public. Subpart C establishes draconian “cradle to grave” regulations for hazardous waste. Under this option, every aspect of the hazardous materials supply chain (generation, storage, treatment, and disposal) is subject to an ultra-onerous federal regulatory oversight. Subpart D establishes minimum standards for federal, state and local government cooperation in controlling the management of nonhazardous solid waste. The agency’s role here is largely advisory such that state and local governments retain primacy. In fact, EPA is authorized to effectively render the Subpart D requirements as stringent as Subpart C requirements. Both Subparts, for example, may require: location standards; composite liner requirements; groundwater monitoring and corrective action standards for releases; closure and post-closure care, and requirements to address the stability of surface impoundments. While Subparts C and D can share ends, their means differ dramatically. Subpart C permitting is infamously burdensome, requiring permits at virtually every instance when the regulated materials are handled. Subpart D doesn’t require permits, and instead relies on back end enforcement via state or interest group lawsuits pursuant to the Resource Conservation and Recovery Act’s citizen suit provision. Also, the two Subparts differ in scope. Subpart C regulates the generation, storage, treatment, and disposal (i.e., “cradle to the grave”) of hazardous wastes. Subpart D, on the other hand, regulates only the disposal of non-hazardous wastes. In 1980, Congress amended the Resource Conservation and Recycling Act to prohibit EPA regulation of CCRs pursuant to Subpart C until after the date of submission to Congress of a comprehensive study of those wastes. EPA performed this statutorily mandated study in two phases, in 1988 and 1999 for high volume and low volume CCRs processes (respectively). Both studies concluded that Subpart C was inappropriate for CCRs. In 2000, EPA consummated the process initiated by the 1980 congressional amendment, when it formally concluded that CCRs did not warrant regulation under Subtitle C. Instead, EPA concluded that Subtitle D regulation is appropriate when CCRs are disposed of in landfills or surface impoundments. (65 Fed. Reg. 32214). However, the agency never proceeded with Subpart D regulations. In December 2008, a dyke burst at a bottom ash surface impoundment in Kingston, Tennessee burst, thereby unleashing nearly a billion of gallons slurry onto nearly 300 acres of nearby lands and streams. It was the largest such accident in U.S. history, and it lent impetus to EPA regulation of CCRs. On June 21, the agency proposed three options for regulating CCRs under the Resource Conservation and Recovery Act: Subpart C, Subpart D, and Subpart D Prime. We’ve already covered the differences between regulation under Subparts C and D. As I explain above, both share similar ends, but deploy different means. Notably, EPA’s proposed Subpart C and D options both would require the retrofit of existing surface impoundments with composite liners, or otherwise close. Subpart D Prime is identical to Subpart D except that it would NOT require existing surface impoundments to close or install composite liners; instead, it would require additional monitoring. Thus, Subpart D Prime is the friendliest to industry. Subpart C—Industry estimate: $50 billion to $70 billion over twenty years. We could take CCR through pyrolysis to “recycle” it 100% and get useful byproduct.